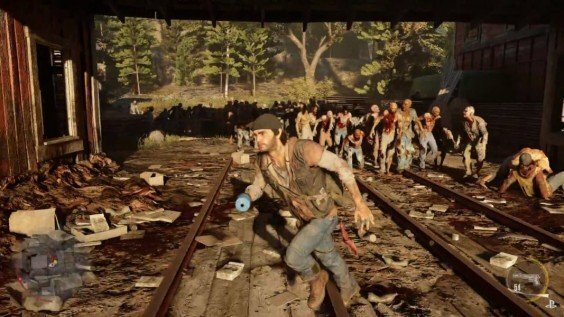 Days Gone, an upcoming open world action game, is apparently unable to draw much of a crowd at E3. While attendees have been lining up to view big name titles like God of War 4, PlayStation staff have been forced to call out to people passing by to join the behind closed door theater. Developer SIE Bend Studio must be feeling nervous that their fresh IP is unable to attract many viewers without prodding. While the trailer and gameplay demonstrations revealed at Sony’s conference on Monday were impressive, the game looks to be heavily inspired by other zombie titles such as Naughty Dog’s masterful The Last of Us. It could be that the lukewarm reception is a result of there being too many big name games soaking up all the attention. After all, there’s stiff competition from returning franchises like Call of Duty: Infinite Warfare, Battlefield 1 and Titanfall 2. Or maybe gamers are getting a little fed up with the whole post-apocalyptic zombie genre? Whatever the case may be, the trend is a little disheartening. Fresh IPs are becoming something of an endangered species these days, and a poorly received new title could further encourage developers to stay true to their proven franchises. Tell us, what do you make of Days Gone so far? Are you digging what you’ve seen, or has it not caught your interest?